Surface electromyography device with wireless probes for the dynamic analysis of muscle activity. 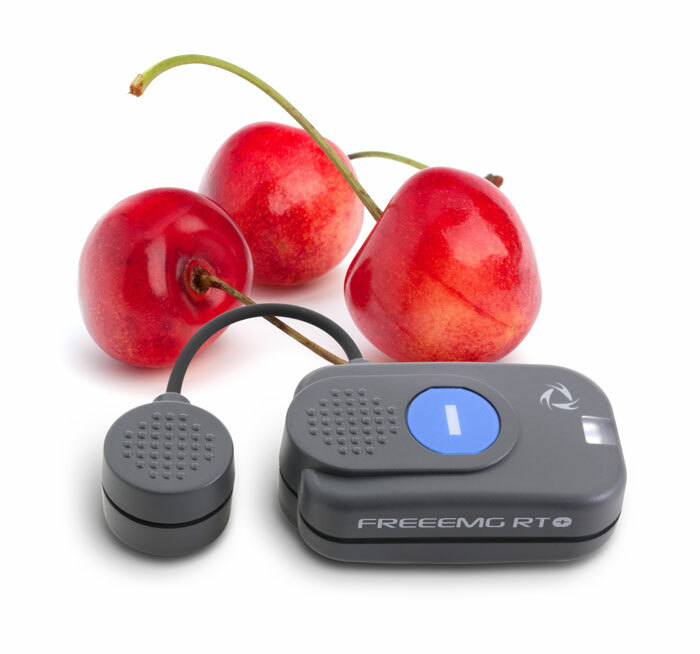 FREEEMG is a 4G technology device for surface electromyography (EMG) analysis. Signal accuracy, absence of wires, lightness and reduced size of the probes are features which enables users to perform analyses of any type of movement, for each body part, without altering the natural movement of the analyzed subject. Thanks to our wireless miniaturized probes even the weakest signals will be detected and accurately captured. 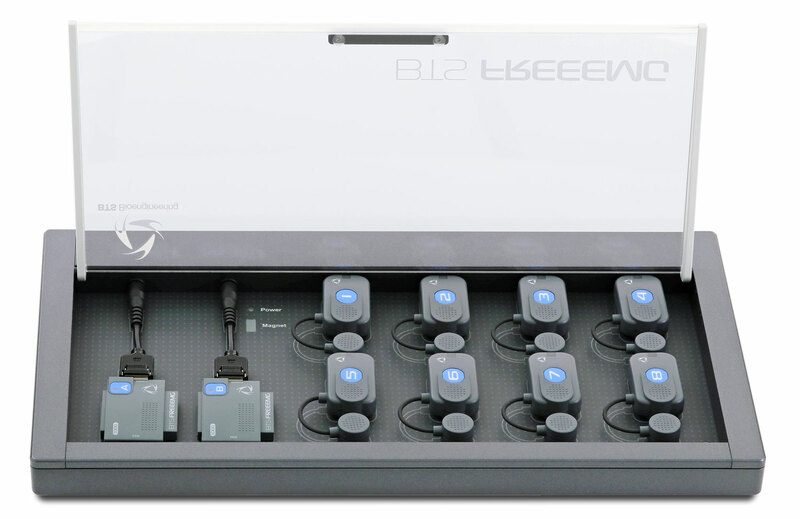 The system communicates with a PC through the supplied USB receivers and can manage up to 20 probes simultaneously. 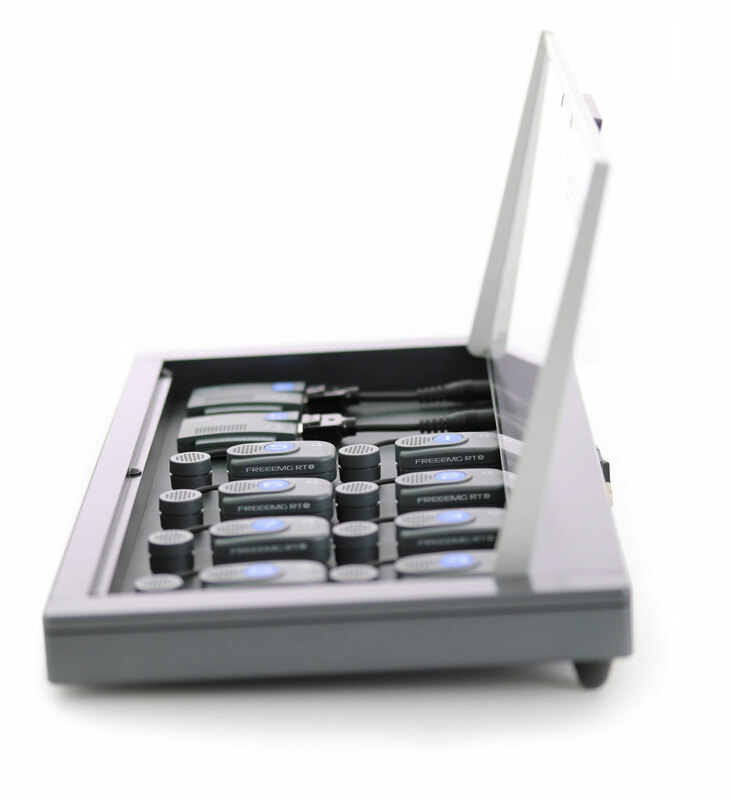 Each probe is equipped with internal memory to ensure uninterrupted recording in case of temporary connection loss and to allow for acquisitions in wide spaces and open fields. For signal acquisition, the probes are directly attached to the pre-gelled electrodes, with no need for additional fastening: subject preparation has never been so quick. The software analyzes the collected information and generates graphical results allowing for immediate comparison to normal classes. A large variety of predefined analysis protocols allow for assessment of muscle activity during specific exercises. The protocol allows the evaluation of the motor strategy used by the patient in terms of symmetry and muscle coordination during walking and the assessment of proper muscle activation/deactivation timing. The protocol assesses the proper knee stabilization before an impact allowing Anterior Cruciate Ligament (ACL) injury prevention or recovery evaluation after ACL surgery. The protocol allows the evaluation of the flexion-relaxation phenomenon (FRP) of the lumbar paraspinal muscles during a flexion-extension movement of the trunk. The absence of paraspinal muscles’ relaxation, while the subject is holding the flexed position, could indicate a muscular overload and lead to low back pain and postural problems. The protocol analyzes the activity of the main masticatory muscles and quantifies the neuromuscular balance during the dental occlusion. A malocclusion issue could result in postural pain and problems (headache, backache…). The protocol allows the evaluation of muscle activity during the pedalling cycle. The test can be performed during rehabilitation exercises performed on a cycle ergometer, or to monitor how the muscle behaviour changes as the athlete’s position on the bike is adjusted. The protocol allows the evaluation of the motion strategy used by the subject in terms of muscle coordination during running. The protocol may highlight the presence of functional asymmetries and compensatory mechanisms.